Station 41 was built in 1968 and is on the corner of Wells Street and Stevenson Avenue on 0.51 acres. Station 41 is the headquarters station for Enumclaw Fire Department. All the fire district administration and operational functions are performed from this location. 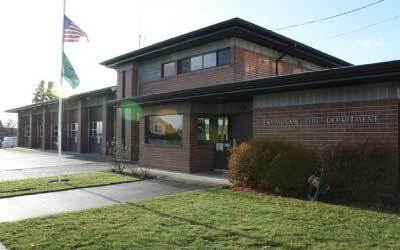 The building and property are owned by the City of Enumclaw and leased to the Fire District. The station is also used as the Emergency Operations Center (EOC) during major incidents or weather related emergencies. Station 41 facilitates all training and continuing education, the Fire Chief, the Training Officer, 15 Career Firefighters, 2 Office Staff, and approximately 25 volunteers. Station 42 is also known as the Cumberland Fire Station. It is the secondary/resident station for Enumclaw Fire Department. It is 4,388 sq feet and was built in 1928 as a one-room school house. Station 43 was built in 1969 as a single bay with one bedroom, apartment style, living quarters. 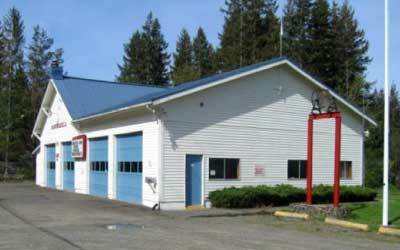 Station 43 is 1,677 square feet and was added to help with response times out in the rural areas of Enumclaw.